I am re-posting this article. I read an article on BuzzFeed which really irked me. It was titled “Why Lesbian Movies Are Mostly Terrible” yet they didn’t portray to have seen anything after 2005 except Jenny’s Wedding, which I don’t think can be considered a lesbian movie, and Life Partners. There’s so much talent out there right now; women who are busting their butts and putting it on the line to tell these personal stories about women who are trying to figure it all out. So here’s my task to you. Read this post. Know the films, filmmakers, actors, watch their films, support their work, share this post & the knowledge with everyone you know who watches the genre. This genre is no longer just Imagine Me & You, Desert Hearts, and Buffy; it hasn’t been for years. I’ve even added two more films which I saw in festival, for those of you who previously read the post. I have learned some incredible things this year at Outfest. First, Outfest has partnered with Direct Tv and you can stream some of the festival films on this OUTFEST ONLINE site. I encourage you to browse this database and fill your eyeballs with amazing work. I’ve also learned, and I think I knew this but I haven’t yet taken advantage of it, the Wolfe Video website also has a streaming VOD service. So you can go there and see all the Wolfe Distributed lesbian films. This year more than ever lesbians have been making films which defy the genre as we have known it in the past. Below are examples of the minds which are creating these worlds and we are finally moving into a world where the characters being gay are in the background to very personal stories about incredible women who happen to be gay. Pay attention because these women are trailblazers. And I will have more to talk about in the near future. First, Natalia Leite and Alexandra Roxo. These women are amazing. They are the people behind one of my favorite web series Be Here Nowish. This journey started about five years ago when Natalie Leite wrote the script. Because the women didn’t have the money to fund their feature they decided to do something in the meantime, create a pretty popular webseries about two New York City women who travel to Los Angeles to attend a spirituality class. The series is incredibly strange, funny, and imaginative. The series gained such an audience that they were able to crowdfund most of the budget. Incredible, incredible feat. This feature, Bare, is Natalia’s directorial debut and what a tremendous cinematic journey it is. It is a slice of life story about a small town girl named Sarah (Dianna Agron, Glee) who starts to see her life as a prison where her biggest achievement was to hold a job at a large supermarket chain. Unlike the friends she grew up with, who don’t seem to mind the life of a small town, Sarah wants out but has no hope for success. Until one day she stumbles upon a drifter named Pepper (Paz de le Huerta) who brings her into the questionable world of stripping where Sarah becomes addicted to making easy money and dreaming of a life outside of her town in Nevada. Pepper and Sarah find love in one another despite the questionable past and dangerous present Pepper faces due to people she had betrayed on her journey. Sarah grows, experiments, and finds strength in Pepper to see that she has the ability to live a life of her making. Natalia and Alexandra previously did a piece for Vice on this same subject which has mixed reviews, you can see it on YouTube here. This team is definitely one to watch, follow, support, anything you can do to keep them making films. Go to their site Purple Milk, see what they are up to, and enjoy. Louise Wadley had this project in the Outfest Screenwriting lab a few years ago and is the first woman out of that lab to get her film made. This seems to be her first narrative feature and I can’t wait to see what’s next. This journey takes you on a wild ride through Australia when a resident DJ, E (Mandahla Rose), and her best friend (Brett Rogers) run from trouble. E is lost, in life and in love, she can’t tell right from wrong. She’s destroyed the kind of love people dream of with her ex Trish (Julia Billington) but someone as lost as E has to find out that the only person who can find you when you’re lost is you. She deserves the love she wants but accepting it is a totally different story, especially when trouble follows close behind. The cinematography is stunning, the acting is phenomenal. Louise Wadley is such a talent. This is a wild journey you’ll love to take. Also, funny story. I did a post about films from 2011 where I added a beautiful short at the end for your viewing pleasure. I’d seen it months ago and loved it and moved on knowing it’s there. So the day after I posted I watched the short again and surprise! It stars Julia Billington from All About E.
Fina Torres has adapted a 1985 play by Jane Chambers, Last Summer At Bluefish Cove, to this stunning cinematic journey about a group of women in Venezuela. It surrounds one charismatic woman who makes a bet that she can make the new guest, at the hotel where they live, fall in love with her. Throughout the story you find a bigger struggle of life, love, and moving forward. It stars Patricia Velasquez, a runway model who recently wrote a book where she came out of the closet. Here is a link to Patricia’s book. Fina Torres, another powerhouse director and this film is not only beautifully shot but the story will make you feel every emotion on the spectrum: happy, sad, excited. Such an amazing cast and crew. 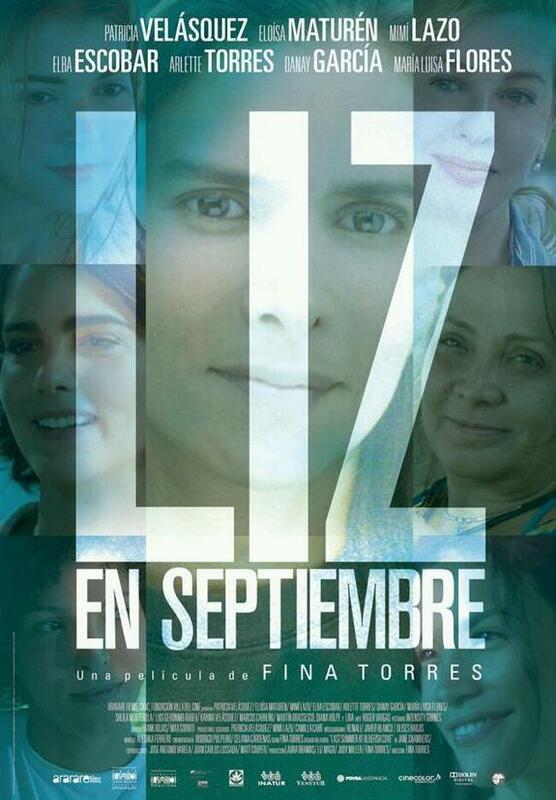 Fina Torres is most known for directing the 2000 film with Penelope Cruz called Woman On Top. 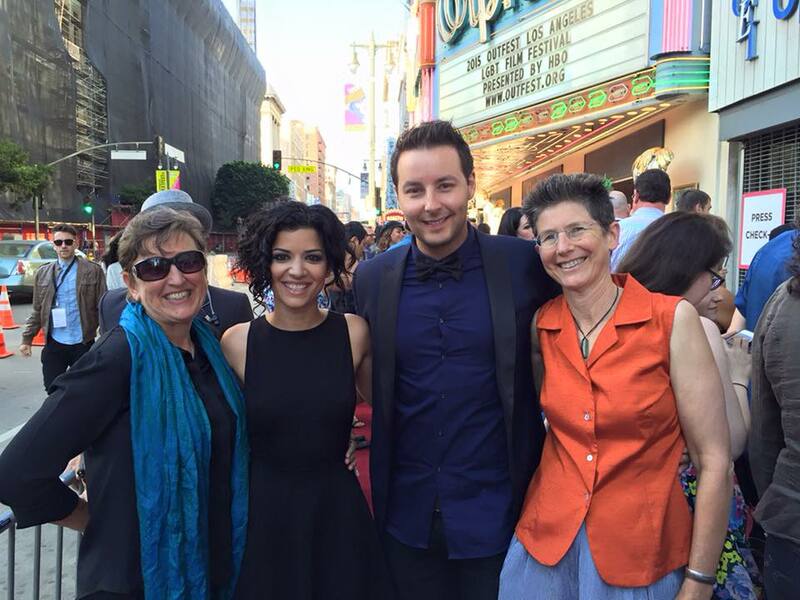 This story surrounds three couples: one lesbian, one gay, one straight. They spend a weekend together at a family cabin where the relationships of each couple is explored. This film is amazing. The entire script was written as an outline and each story came to life through improvisation. This film was produced, written, directed, and crewed by the six stars right down to the craft services. The chemistry they all have with one another pulls you in and keeps you until the credits roll making you feel like they truly have known one another their entire lives. There are three separate stories about each couple. I’ll focus on the lesbian. From the first frame you see they are putting on a face through a troubled time although you can’t put your finger on what the problem is or why. Jackie (Nicole Pursell) has something on her mind and in her heart but is pretending there’s nothing wrong while Alex (Sarah Wharton) can feel the tension but doesn’t want to start th e conversation in fear that it would lead down a path which won’t lead them back to each other. This story is one which defines that time in great relationships where communication becomes difficult and the toll it takes on two people who are truly in love but can’t figure out what to say. This film delves into the delicate nature and problems relationships face every day with such grace and nuance you won’t be able to blink in fear of missing that tell-tale glance or look which would ease the pain each individual character holds. And though I watched it at the edge of my seat, I left the theater with the tiny hope that problems really can be overcome when love is at the center of it all. A definite must see when it becomes available. This is by far one of the best movies I have ever seen. Two hours went by like it was 10 minutes and I had to keep reminding myself to breathe. This is a story about the power of first loves. On a smaller scale this is a story about a woman who wants nothing more but to be a pilot but is plagued with vertigo. She meets a love with whom she finds ultimate trust but another tale about how the only person who can save you is you. It’s really hard for me to sum up the plot of this film. Alante wanted to create a story where you watched it with all your senses and she succeeded. I’ve read some harsh critiques on it but the trick to this movie, if you can do it, is to let yourself go totally and submit to your senses. Yes it has a story of its own but from what Alante said the film was more about experiencing what Sangaile was going through rather than watching and intellectualizing it. And now you get to wait in anticipation for the general release. Again, click their sites, follow their work, support what they are doing, and spread the word. Tags: 2015 lesbian films, Dianna Agron lesbian, Lesbian Actresses, Lesbian Characters in Movies, Lesbian directors, Lesbian Filmmakers, Lesbians in Film, New Lesbian Films. Bookmark the permalink.